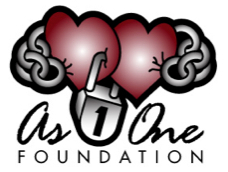 Founded by Bahamas native & NFL wide-receiver, Devard Darling, the As One Foundation was established in memory of Devaughn Darling, identical twin brother of Devard, who died is 2001 during spring football practice at Florida State University. The mission of the As One Foundation is to provide access for young people to unlock and unleash their full potential through athletics, education and spiritual enrichment. The As One Foundation is so named because the twins' mother was unaware she was carrying twins - her doctor had been hearing two hearts beating AS ONE. Upon Devaughn's death, Devard set out to fulfill his and his brother's shared dream to give back to their beloved Bahamas. The Devard & Devaughn Darling Football Camp is one program of the As One Foundation where a free camp is provided to some three hundred 11-17 year old Bahamian boys and girls every summer in Freeport and Nassau. Campers receive instruction from U.S. high school, college and NFL player coaches. Participant gifts such as t-shirts, shorts, shoes, autographed photos, meals and beverages are all provided free of charge. Sponsorhips are available. Donations are welcomed.